KUALA LUMPUR, Malaysia — Inside a YMCA gymnasium, an actress takes the stage and the audience goes quiet. Members of Malaysia’s state security forces are in attendance. The scene set is a family living room. An actress mimes as if to clean. There’s nothing subversive in this scene. A male actor steps on stage looking upset. He’s playing the woman’s husband. Not a word is spoken between the two until he attempts to hit her. True to the form, the actress falls to the floor clutching her face. Rafik, 21, is a mother of three. She was married at the age of 13 and pregnant months later. Early childhood marriage is common among the Rohingya. The United Nations predicts 140 million girls will become child brides between 2011 and 2020. This is more than 14 million girls per year. Fifty of the 140 million are girls under the age of 15. UNHCR Malaysia estimates there are 230 child brides in the country’s refugee community. Malaysia is not a signatory to the UN Refugee Convention despite the fact that there are 152,170 registered refugees with estimates of anywhere from 40 to 140,000 unregistered in the country. Nazim Bashir is community outreach coordinator at Asylum Access Malaysia. He said early childhood marriage and sexual violence in the refugee community is a concern for everyone. 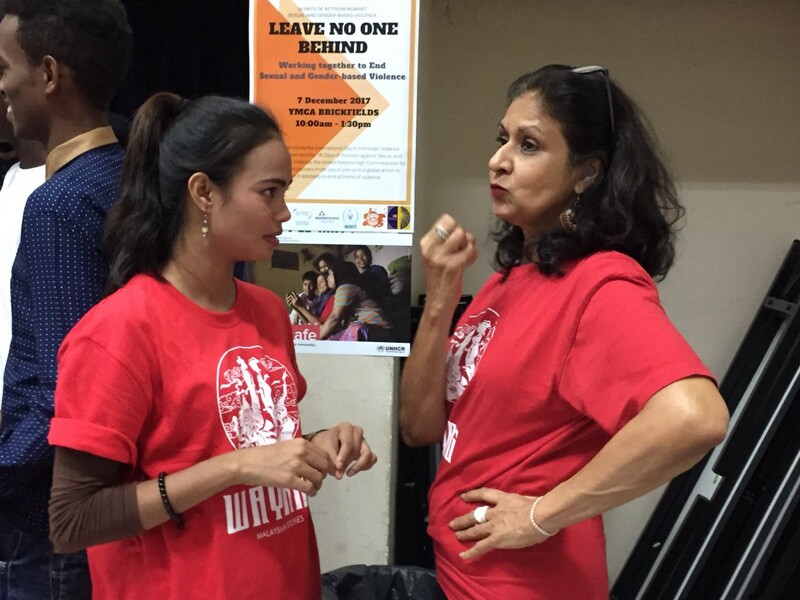 Asylum Access Malaysia teamed up with New York City’s Bond Street Theatre to teach a group from the Rohingya Women’s Development Network about using theatre to raise awareness on refugee women and girls’ issues. Bond Street Theatre has projects in 40 countries worldwide. 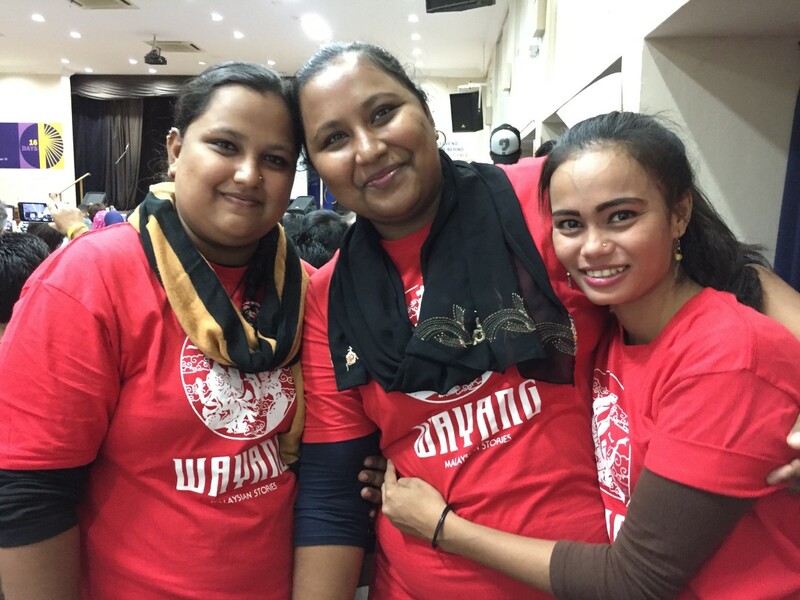 The Rohingya Women’s Theatre Company was born in late 2017 with the assistance of Masakini Theatre in Kuala Lumpur. Rafik considers herself one of the lucky few allowed to attend a charity school. Rohingya, and other refugees, are barred from attending government-run schools in Malaysia. Rafik’s education ended when she got pregnant at 14. UNHCR Malaysia supports 128 informal refugee schools, providing a basic primary level education. Asylum Access Malaysia states most of these schools are underfunded and under-resourced. They rely solely on volunteer teachers and staff, most from the refugee community itself. According to the UNHCR, only 50 per cent of refugee children worldwide are enrolled in primary school. Twenty two per cent are in secondary school, while only one per cent is enrolled in tertiary, post-secondary, education. UNHCR Malaysia’s Education Unit stated in 2016 that among Rohingya school age children in Malaysia, only 39 per cent are receiving primary level instruction. No other level exists for them. Back at the YMCA, the actor and Rafik yell at each other in Bahasa Malaysia, a language she and over 31 million others speak in this country. Rafiq was raised in Kuala Lumpur and calls herself Malaysian. The first scene comes to an end. Rafik receives a round of applause. Enter Syedah Husen, 21, another Rohingya actress and former child bride. Husen was married at 15. Her family escaped Myanmar and came to Malaysia in 2001. But neither she nor her older sister was allowed to attend primary school. “I don’t want my children to be like me, I got married very young. I have no brains because I never went to school. I want my daughter to study until she’s older and she can choose what she wants to do,” Husen said. The only way to stop early childhood marriage and early childbirth in Malaysia’s Rohingya refugee community is to increase girls’ access to education. These issues extend beyond Malaysia and into Myanmar and Bangladesh, where the majority of Rohingya live. The Canadian Fund for Local Initiatives provided assistance to the Rohingya Women’s Development Network to establish the Rohinyga Women’s Theatre Company. The Canadian High Commission in Malaysia states the funds are an effort to increase women and girls’ access to information and decrease dependency on humanitarian assistance. “People in Myanmar are not educated. And in Malaysia you can only get a basic education,” said Sharifah Husain, founder of Malaysia’s Rohingya Women’s Development Network. Husain, 24, was born in Myanmar. Her family fled 20 years ago to Kuala Lumpur after an attack on her village. Husain has spent the last decade of her life educating women and children in Malaysia’s Rohingya refugee community. Back on stage, Husen and her actor husband sit beside each other, as if at a dinner table. They begin to argue and the crowd is amused. The play comes to an end. There’s a standing ovation as the actors take a bow. A narrator shares information on where refugee women and girls can go to seek help in the community. A 15-year-old Rohingya mother in the crowd, with a baby on her lap, asks not to be named. Malaysia’s state security officers stand up to leave. “I didn’t know we could act. I’ve never seen this kind of performance. My friends are doing a good job. This is a good thing,” said the 15-year-old mother. Off stage both Rafik and Husen are treated like celebrities as family and friends line up to request photographs with them. “It’s very effective when our community is seeing the violence that is happening. They think this is our culture. This is what we’ve been doing since being born and this is not a problem,” said Sharifah Husain. “With theatre we make them see what the reality is. They open their eyes. They’re willing to accept. You entertain the people and at the same time you’re educating them,” Husain added. In Myanmar, Rohingya women have survived unimaginable violence and now live in Bangladesh refugee camps receiving humanitarian assistance. 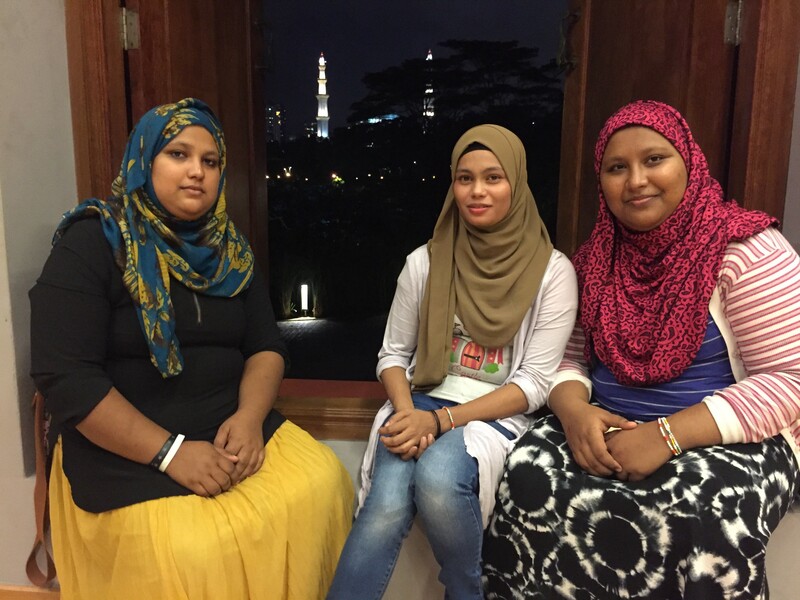 In Malaysia, Rohinyga refugee women refuse to be victimized any longer and are now educating each other on their options.